Fab Lab Connect wants to be sure you have a heads up on a couple of resources announced by MakerBot. The 3D printing machine company and FLC have partnered to teach students in each School Fab Lab Makerspace the basics and higher levels of 3D printing, and to stay up to date on what MakerBot offers. For instance, MakerBot University, and some free resources to help integrate 3D printing with education. MAKERBOT UNIVERSITY is coming soon! MakerBot is offering a new program which will help you develop professionally, gain confidence and become a 3D printing expert. Blended learning with hands-on in-person workshops. – Get comfortable with setting up your printer, understanding the 3D printing process, and learning troubleshooting techniques. – Learn the basics of 3D modeling and 3D printing best practices. – Master incorporating 3D printing in your class as well as how to build your own lesson plans. Click here to be added to their mailing list for more details. Get some GUIDANCE FOR 3D PRINTING IN THE CLASSROOM! 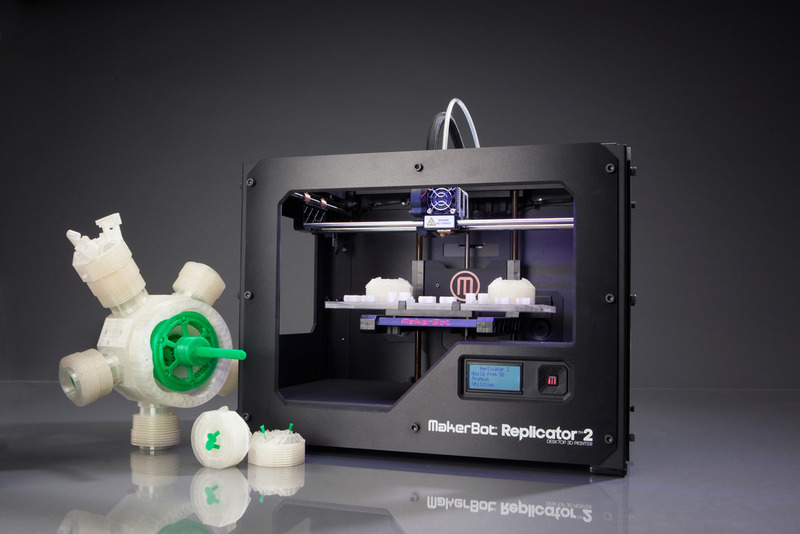 MakerBot is offering some free resources to help anyone get started with 3D printing in a classroom or school. MakerBot Educators Guidebook: the definitive 200-page guide to 3D printing in the classroom, featuring 9 classroom ready lesson plans. 2018 Grant Guide: they compiled this list of STEAM and maker space education grants to help secure funding. MakerBot Educator Solutions Slides: a great tool to raise support for implementing 3D printing in a maker space or classroom. MakerBot Educators Program: the best way to provide useful feedback to MakerBot, apply to be an ambassador. SCHOOL FAB LAB MAKERSPACES use MakerBot printers! 1- What is 3d printing? 2- How to use thingiverse.com to download .stl files? Understand the basics and the more difficult steps. Operating Machines: Print settings such as raft, inll and support. Science Learning: Additive manufacturing, G-code, slicing. Schedule a Consultation and hear more about School Fab Lab Makerspace HERE.